We care about you and your health, so we wanted share some important information on common foods you probably have in your fridge right now. As many of you know, we strongly encourage our patients to buy or grow and eat organic food when possible. It's not a topic we get a chance to talk about as often as we'd like, but knowing what's in your food and how it is grown is a key element to good health! 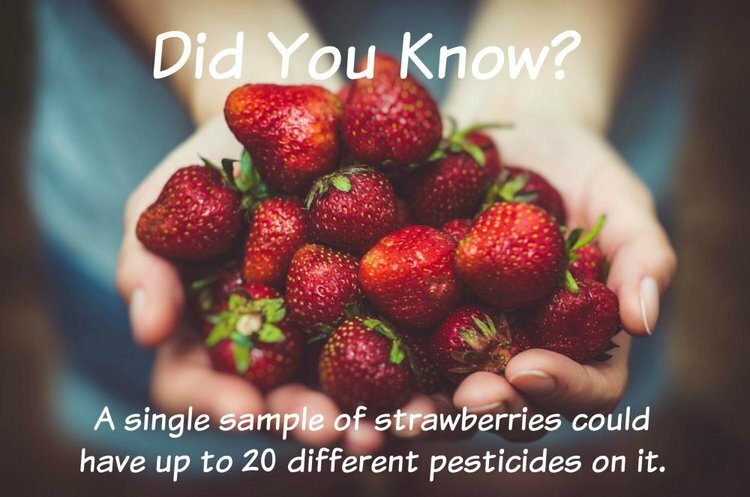 Pesticides can generate free radicals in the body, causing oxidative stress and cell damage. Not only are free radicals linked to accelerated aging, but also associated with various health ailments, including cancer, atherosclerosis, Alzheimer's disease, Parkinson's disease and many others. Read more on the effects pesticide have on health. We understand it may not always be possible to buy organic, so knowing which foods are considered "dirty" is useful information to have on hand. Some foods are considered "cleaner" and therefore are not as much of a concern when buying non-organic. Dr. Axe lays out the Dirty Dozen and the produce least likely to be contaminated with pesticides. 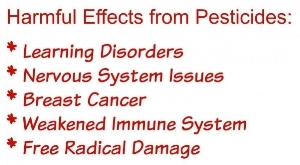 Of course aside from pesticide-laden food, we can get free radical damage from a host of things in our environment. Come on in and fight damaging free radicals with our Micronutrient IV Therapy Program! We want to continue to bring you valuable health and wellness information, so keep a look out for our educational emails and blog articles. Also, we share a TON with our community on Facebook - follow us! Like us on Facebook - Health and Wellness Care and Cielo Aesthetics & Wellness.